Our family snapshot at the moment. As of today, we have 8 people living in our house: two parent students, one paraeducator, one student-photographer, one social worker and one pastor. And two little babies loving life. It’s busy but I can’t really imagine life any other way at this point. Really, I can’t. 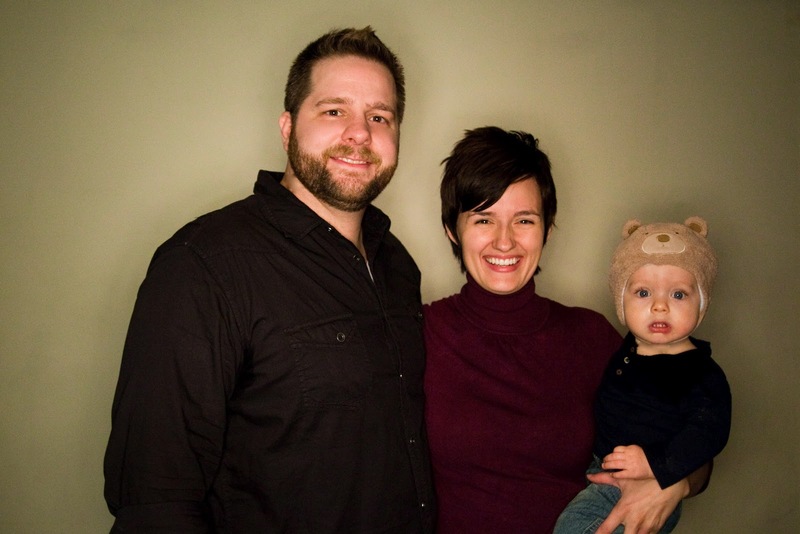 Megan and Kelley serve on our core staff of leaders at church. So yes, we not only work with them, we also live with them. And we still like each other. Incredible, I know. The fabulously squishy and charming, Liam Kohen Bowker. What a doll baby. 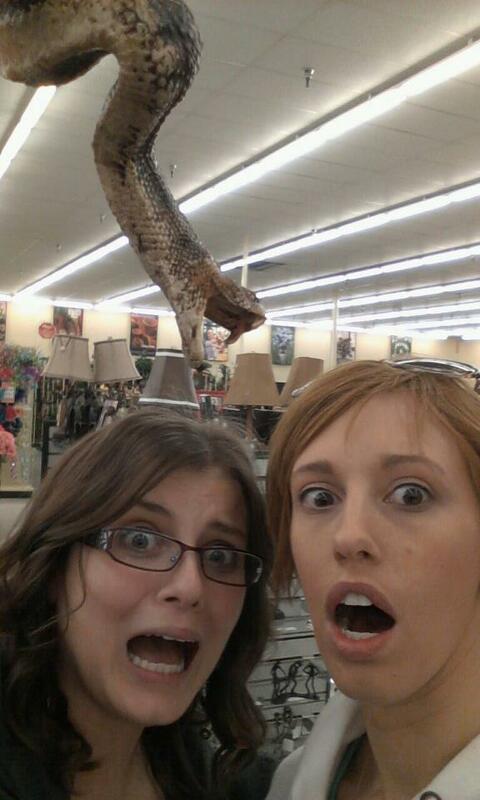 Emma (L) and Christy (R) are apparently about to get eaten by a snake at Hobby Lobby, of all places. Our beloved photographer and pal, Emma, has been with us for the month while her hubby’s been away for military training. We love Emma and an excuse to live with her is easy to make up. We’re so glad she’s been here this month and we will miss her when she leaves, even though she’ll be 10 minutes away. Christy has been with us since last year, September I think, and her short stay turned into weeks and then we all broke down and decided that she was going to be our roommate…again. 🙂 (She lived with us right before John was born too.) She’s working with some adorable littles at a local school, finding her calling involves some form of intense advocacy for women and kids – it’s all taking shape before our eyes. And of course, us. The Siders, Josh, John and the little Bear/Monkey/Puppy/Baby. Depends on the day. The connections of all these – there are many! I’ve been so fortunate to meet some amazing women in Manhattan, to feel for the first time in years that I am living alongside some incredible peers who love me, support me and can read my mind too, as an extra mind-blowing perk. Because of them, and perhaps because of some of the maturity one is bestowed by turning 30, I feel able to dream bigger. I am in a season of thinking of things and doing them. I spent many years coming up with ideas and berating myself into inaction because I never thought I could actually succeed and follow through on anything great. I felt I had a great calling, but was stumped by my fear of failure. Well, I’ve taken on a heap of huge projects recently, and stopped early in the process of most of them: bought a website, started planning to write a book, and I don’t know what else. But practicing failure was just what I needed, and when we hit 2012, it was clear: Manhattan needed 24/7 prayer and worship to accomplish all that God has for this city. So that’s been my primary focus, with adoption right in the wings, just waiting and hoping for God to open the doors so we can take the plunge. Of course at the moment, with every room in our house full, that won’t work. But I feel it will be soon. Or I hope. I’m just dreaming now. But if I could do anything, I would quit my job and run an adoption agency and pregnancy resource center, like Life Choice, who I volunteer with now. And I would run the Safe Families network for our region. And I would adopt. 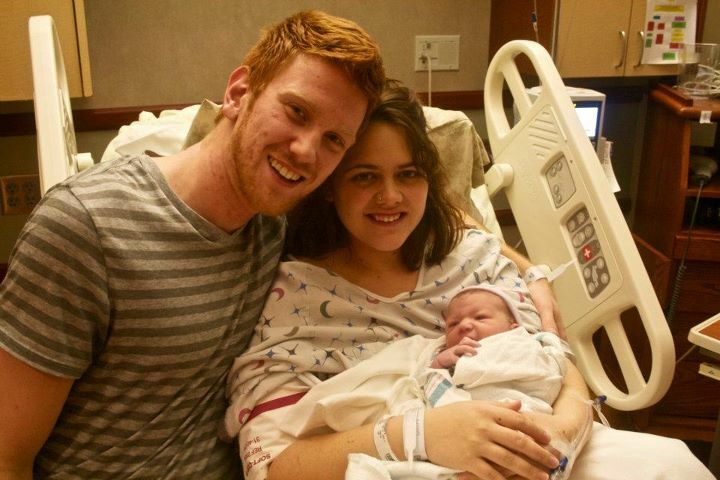 Adopt kiddos from the states and across the world. I would spend time fundraising through creative ways to support these organizations and our adoptions, and I would love on our adopted kiddos and help their little hearts get healed. This is what I would do if I could do anything. Dreaming is wonderful. Dreaming when you know that anything (with God) is possible is far better. I love knowing that God and I can come up with a great idea and actually make it happen. The people and the resources and the education and training and funding and everything we need to do whatever we think of is all right there. We just pray and agree with God for what He already wants to do and watch the thing materialize. Wow Sarah this is good stuff! I still remember the day you were called back home to Manhattan. It's awesome to watch you flourish there. I love the family picture and reading what you are about to do. It's going to be awesome. Love you my friend!